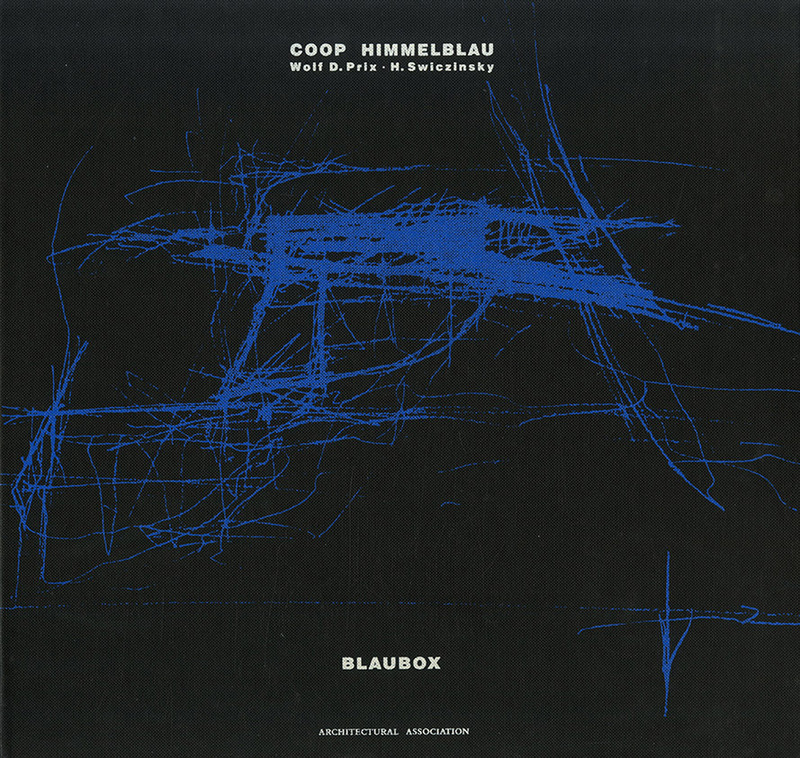 Coop Himmelblau was founded in Vienna by Wolf Prix and Helmut Swiczinski. Their oeuvre until recently consisted of a number of provocative installations, self-set projects and some small conversations in central Vienna, the best known of which is the Studio Bauman. More recently they have won three large competitions: the Paris Melun-Senart City planning project, the Ronacher Theatre, Vienna and a major addition to conventional hotel on the outskirts of Vienna. They are also on the verge of completing a factory building in Austria and a rooftop office conversion for Central Vienna. 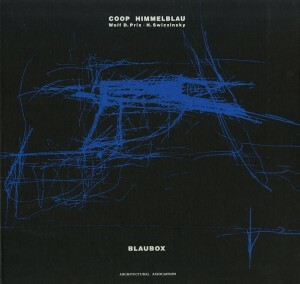 Blaubox contains nine composite plates, each of which documents the process by which a particular project has evolved, from spontaneous sketches to models. An essay by Michael Sorkin traces their their unique avant-garde activities and a conversation with Alvin Boyarsky discusses their design methods in some detail. Rare and collectible. Limited stock available.